Europe receives a large number of tourists every year. It’s an excellent destination in summer or in winter, you will have everything you need. Could be a getaway in the snow, a relaxing weekend by the lake, enjoying the view in the mountains or even simple wandering around the city. There are plenty of options for all the family. With Valentine's Day approaching, let’s take a look at some of the most romantic city breaks in Europe. Europe is the perfect destination if you want to step up this year and make lifelong memories with your partner. Just don’t forget the month of love is almost here so, don’t struggle to decide what to buy. Treat your partner, celebrate in style and book a weekend to one of our list of romantic destinations. It is a city filled with some of the most varied and best cuisine with heaps of Michelin starred restaurants that to be are the perfect romantic date! Or for something traditionally British why not spoil yourself with a British afternoon tea at one of London’s many luxury hotels which is a sure-fire valentine day hit but be sure to book well in advance! It is also the perfect city for strolling and to me, there is nothing more romantic than strolling around a city after dinner! Some of my favourite places to walk are along the river Thames and also through the entertainment filled Covent Garden piazza! For those that love a more activity based romantic date then London has some of the world’s best theatre from the longest running show the mousetrap, to musicals to Shakespeare's globe theatre! And for those that like adrenaline why not take a speedboat down the Thames or walk the top of the o2 for a really memorable date! London is also filled with some of the most romantic hotels in the world such as the beautiful Aldwych One in Covent Garden to the stunning St Pancras Hotel! Whether you want historic charm or modern luxury London has romantic accommodation for you! One of the oldest cities in the world, Athens is a wonderful city break destination where you can celebrate your love with the backdrop of the sacred rock — Acropolis. Wander around the charming alleys of Anafiotika, a picture perfect neighbourhood which lies on the foothills of the Acropolis. Climb up to Lycabettus Hill the highest point of Athens and enjoy spectacular views of the city at sunset. Take a day trip to the coastal area of Athens — the Athenian Riviera where you can enjoy lunch by the sea, swim at the natural lake of Vouliagmeni, known for its magnificent thermal waters and idyllic natural surroundings. In the afternoon head towards the southernmost point of Attica, to the Temple of Poseidon and watch the breathtaking sunset over the Aegean Sea. 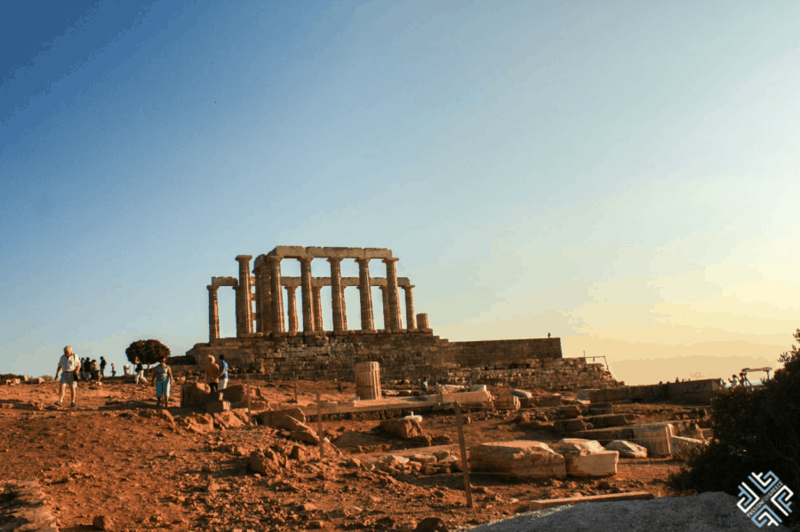 If you are a fan of history and culture, Athens will surely not disappoint you — there are numerous museums and galleries which you can visit during your trip. Food is also a highlight in this bustling capital where you will find a plethora of rooftop restaurants, bars, and traditional eateries. For a taste of Greek nightlife, you can also go to bouzoukia — where you can experience Greek singers perform live on the stage while the crowd dances on tables and throws trays of carnations onto the stage, as a sign of appreciation and pleasure. Are you ready to celebrate your love in Athens? The ancient English city of York is the perfect destination for a romantic city break in Europe for Valentine’s Day. 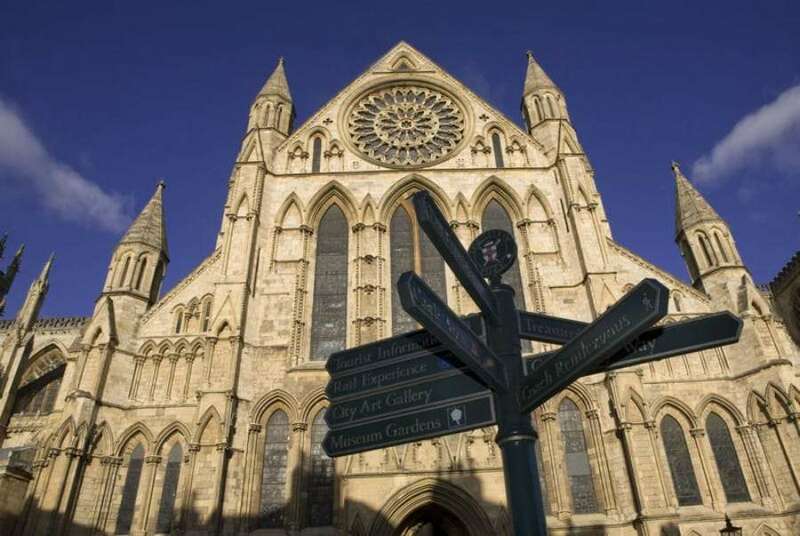 Legend has it, if you kiss your lover underneath the Heart of Yorkshire window in the impressive York Minster cathedral, you will stay together forever. York’s cobbled lanes are ideal for wandering along with your loved one, as you browse the historic buildings and stop for a drink in one of the city’s many charming pubs. Discover the Castle Museum’s fascinating archives of Valentine’s cards, one of the UK’s largest collections, including the earliest known example. Are you a fan of chocolate? York has a long history of producing this famous aphrodisiac. It’s the home of some of the world’s best-loved sweet treats, including KitKat and Terry’s Chocolate Orange. Visit York’s Chocolate Story to learn the history and taste free samples. Afterward, the two of you can take a romantic stroll along the picturesque River Ouse. Alternatively, why not re-enact Cathy and Heathcliff’s dramatic love affair on the nearby moors that inspired Emily Brontë to write Wuthering Heights. So, come to York on Valentine’s Day and kiss in the York Minster for memories of a truly romantic city break to treasure for eternity. If you’re looking for a romantic Valentines getaway, we recommend Saariselka, Finland. The magical Northern Lights is just one of the reasons to go. Saariselka has it all for the perfect romantic getaway. We stayed in an amazing igloo room, at the Northern Lights Village, that had a whole side of it made of glass windows, so we could watch the Northern Lights from our comfy, warm bed. We spent several nights just in awe of the auroras and loved that we could enjoy it from our room. During the day, we got to experience some really awesome winter activities. Dog sledding, snowmobiling, ice kart racing, and cross country skiing and just some of the activities we did while in Saariselka. We had all-inclusive meals at our hotel and even got to check out their ice bar which is made entirely of snow and ice. The whole time in Saariselka was a winter dream. It was definitely a bucket list trip! Edinburgh has to be one of the most romantic cities in Europe. Walking through the cobbled streets of the Old Town or the Georgian streets of the New Town is like walking through a period film set. 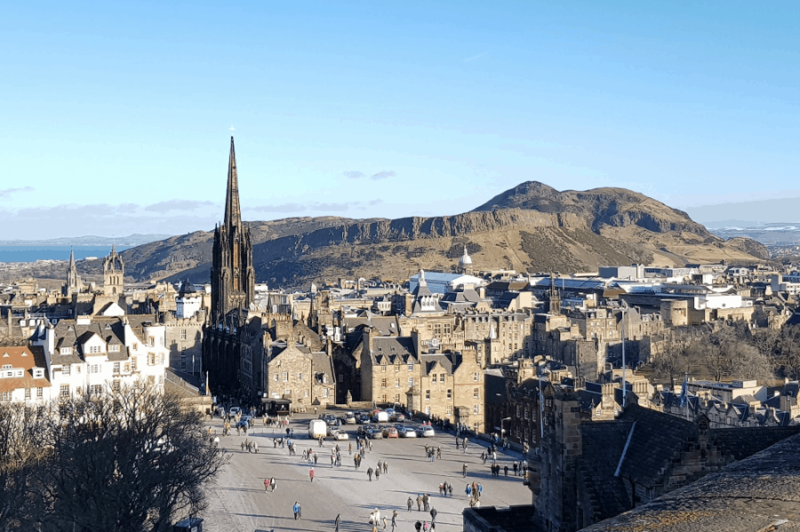 All romantic trips to Scotland should include a visit to a castle so be sure to take a walk up the Royal Mile to visit Edinburgh's own historic fortress. Next to the castle is The Witchery hotel and restaurant, famous its fairy-tale Gothic interior. This is one of the top destinations in the city for couples celebrating a special occasion. However, if your budget allows then you might want to splash out at one of Edinburgh’s Michelin Star restaurants instead. If the weather is nice and you prefer something less formal or are on a limited budget, then there are some great picnic spots with a view. Climb up Arthur's Seat or Calton Hill to enjoy a lazy lunch for two overlooking the city. Edinburgh is filled with museums and galleries, most of which are free to visit, and are the perfect way to spend a city break. One of my top choices for a romantic attraction is a tour of the Royal Yacht Brittannia which four royal couples used for their honeymoon. End the night on one of the many ghost tours, the perfect excuse to cuddle up close or visit the Royal Observatory for some star-gazing. Whatever the time of year or weather, Edinburgh is a perfect city break destination for couples. Copenhagen should be at the top of your list of romantic city breaks in Europe. It’s one of my favourite cities anyway, but it’s perfect for a romantic getaway with someone special. Winter in Copenhagen is all about hygge. There’s no direct translation, but it’s best described as that warm feeling you get spending time in a cosy atmosphere with people you love - what could be better for your romantic escape? Think to snuggle up by cosy fires, spending time at nice restaurants having in-depth conversations, drinking glogg (spiced wine) at outdoor markets. There are so many things to do in Copenhagen during Valentine's getaway. 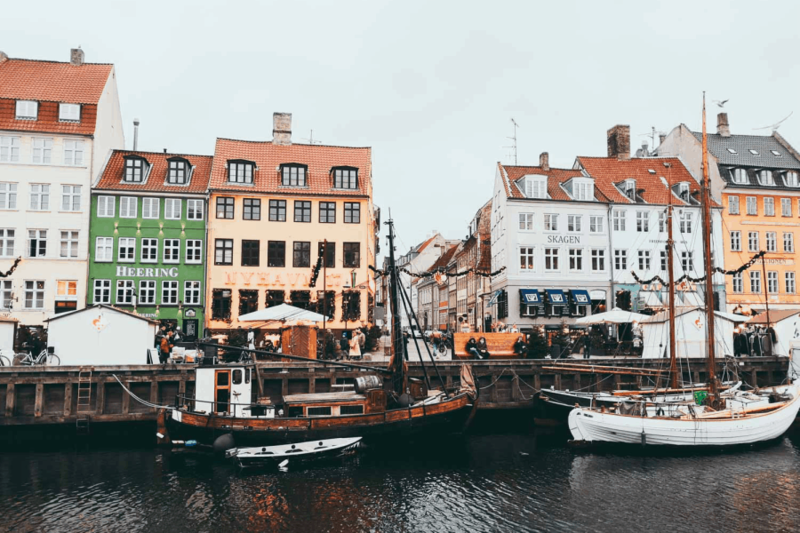 I’d recommend starting with a canal tour, which takes you to the cute and colourful Nyhavn area, visiting some of Copenhagen’s gorgeous palaces and then a blow out dinner. What’s more, there is no shortage of fabulous restaurants and cocktail bars - my favourites are Kodbyens Fiskebar, perhaps followed up by cocktails at 1656. You’ll love it. Lucerne, located in the German-speaking part of Switzerland, is one of the most romantic places in Switzerland and perfect for those who like to enjoy stunning scenery while being in the city. So, in Lucerne take a stroll along the promenade - a beautiful promenade which has a romantic charm at day- as well as night time. The most romantic place is probably the Chapel Bridge which is an old wooden bridge and strolling the unique bridge will also allow you to have great views of the city...and the scenery. 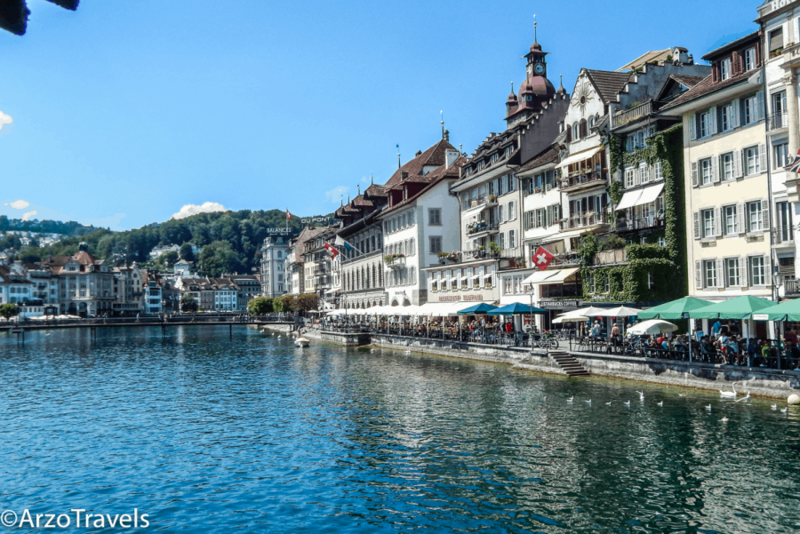 Also, discover the old town and have a coffee before doing a Lake Lucerne boat cruise. Then, it is time to enjoy the sunset with your loved one from Mount Rigi. The sunset is in particular beautiful from here and to end the day (hopefully on a sunny day) - with all the snow and the views - is an extremely romantic way to end your day in lovely Lucerne! Don't forget to bring some drinks or actually, make a dinner reservation at the restaurant at the top and I am sure you will surprise your partner in a very positive way! Paris is synonymous with romance. Strolling along the banks of the Seine or crossing one of the many beautiful bridges hand-in-hand with your loved one is pure romance. Walk along the cobbled streets of Ile Saint Louis after a breakfast of coffee and croissant at the Cafe Regis, and stop for some of Paris’ best ice cream at Berthillon. 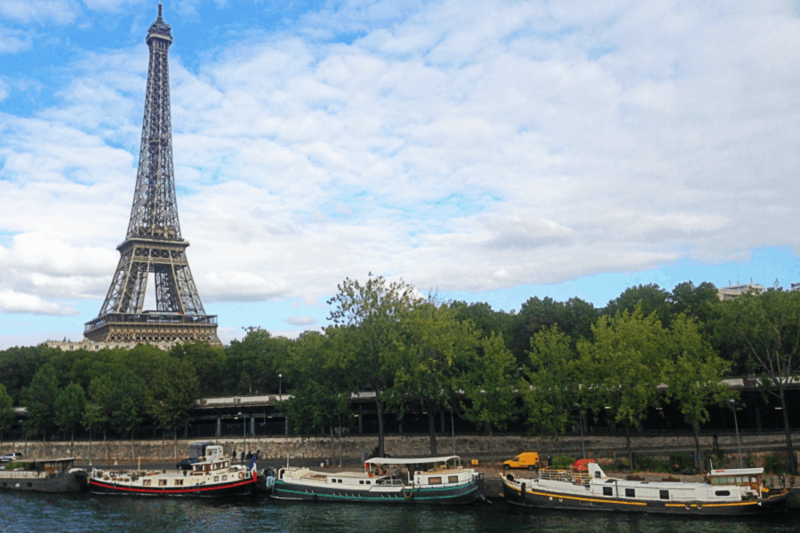 Enjoy the views of the city of lights together from the top of the Eiffel Tower before taking a cruise along the river. See the Eiffel Tower sparkle and glow at twilight from the Arc de Triomphe. Explore the shops around Canal Saint Martin and the markets on the left bank, stopping frequently to enjoy the Parisian café scene. Take a cheese and wine tasting workshop, then use your new knowledge to buy cheese at one of the specialty cheese shops and have a picnic in the Luxembourg Gardens if it’s not too chilly. Wander along the Champs Elysees, and enjoy a glass of wine or a café au lait before shopping for gifts for each other in the many fabulous stores in this area. Sit together on the sofas in front of the clock at the top of the Musee D’Orsay and admire the art in the L’ouvre. Spend your evenings at an intimate cabaret in Montmartre, a glitzy show at the Moulin Rouge or a classic opera at the incredibly beautiful Garnier Opera House. It almost seems like a cliché, but when you actually do these things, it really is impossibly romantic. Paris is the perfect destination for Valentine’s daybreak. Bosnia can still be cold in the winter, but seeing Sarajevo in a blanket of white snow is part of the romance. 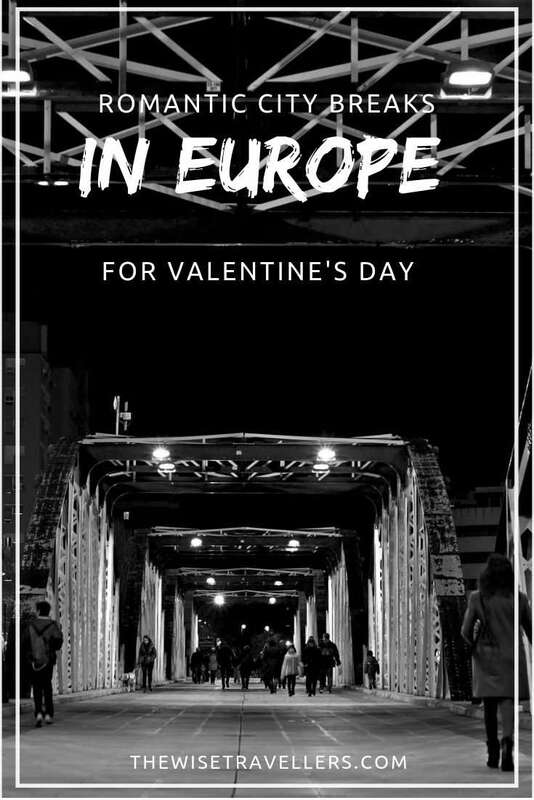 It’s a city that gets much less attention than it deserves, even though it makes an excellent city break in Europe for Valentine’s day. For romantic couples, there are plenty of things to see and do and unlike other big European capitals, Sarajevo is extremely budget friendly. The old part of town called the bascarsija is a joy to wander around. It’s as if you are travelling back in time to the Ottoman empire. Besides the old mosques and the bazaar, there are plenty of cosy teahouses where the two of you can warm yourself up with one of Bosnia’s traditional herbal teas. 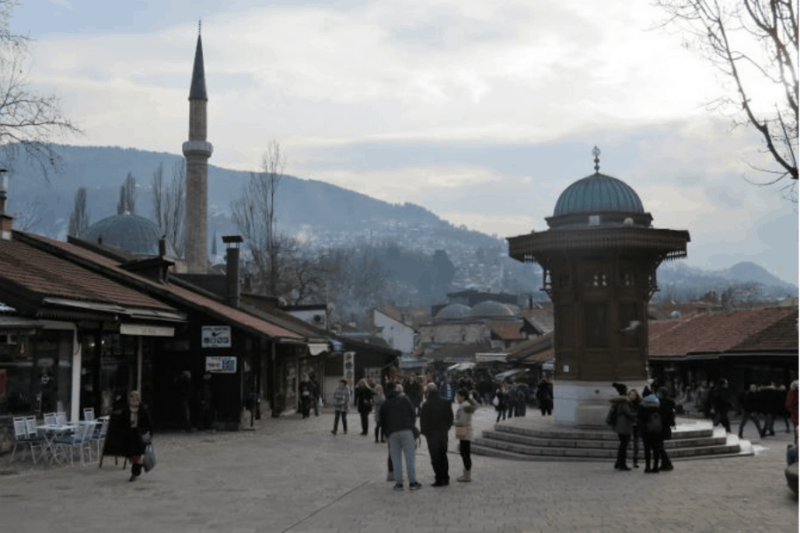 Sarajevo is a multicultural city with a rich history and the city’s museum offer an opportunity to learn more about Bosnia’s civil war and the city’s communist past under Tito’s Yugoslavia. For those that love nature, the mountains are just a stone’s throw away. From the old town, it is a short walk to the narrow alleys leading up to the yellow fortress from where you have a beautiful view of the city. Other romantic places to see the sunset over Sarajevo are from Mount Trebevic. Sarajevo’s landmark cable car has just reopened and will bring you to the top where you can also see the abandoned bobsleigh track from the winter Olympics in 1984. Once the sun has set a candlelight dinner for two is not far away. There are plenty of options to choose from. Up in the mountains with a view on Sarajevo or back in the old town for traditional Bosnian delicacies. Sarajevo’s restaurants make sure you have a great evening and a romantic end of your day. While everyone knows about our pizza, not many people realize how romantic Naples can be. This colourful city by the sea in the South of Italy is the right place to go to, whether you’re planning a short city break or a longer vacation with your significant other. While there are many things to see in Naples, Valentine’s day is the perfect time to walk hand in hand on the stone bridge that goes from Santa Lucia to the tiny island of Megaride. 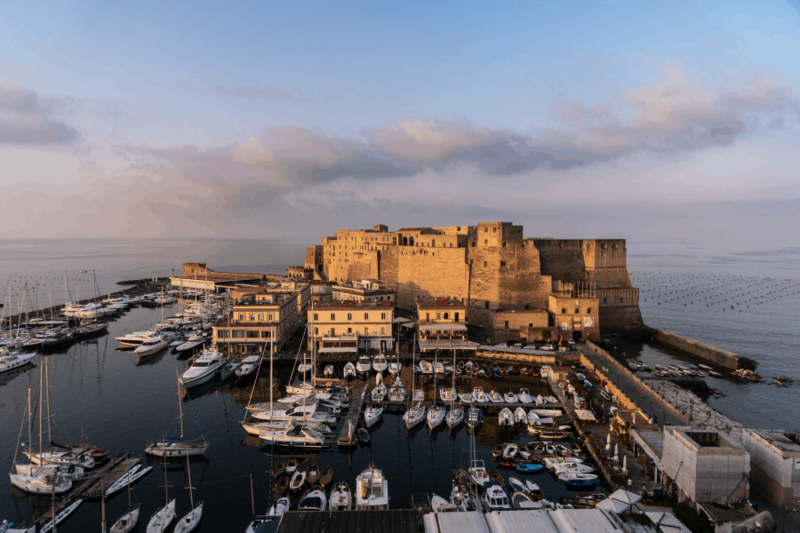 This area has seen so many marriage proposals: people from all over the world like to come here, next to the beautiful “Egg Castle” (Castel dell’Ovo) to swear undying love to their partner. To celebrate a special occasion you can have a delicious candle-lit dinner at Borgo Marinari, located under the big castle. It is a tiny fishermen village where you’ll get the freshest fish ever. Of course, pizza in Naples can also be quite romantic: who doesn’t love pizza anyway? One of the best pizzerias in Naples is Gino Sorbillo, in the Centro Storico. It feels like walking into an ancient cellar, and unlike other pizzerias, it’s very romantic, with wooden tables and the chance to enjoy a lot of traditional Neapolitan delicacies. 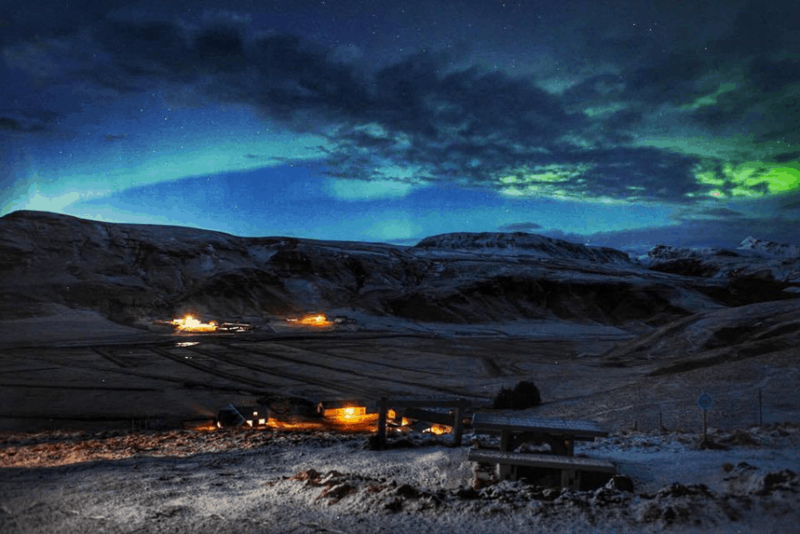 Reykjavik, Iceland should be on the top of your list for a romantic city break in Europe for Valentine’s Day. Iceland is cold year round, and especially cold in February. In addition, during the winter months, the daylight is limited to 5-7 hours. Now you are probably wondering what is so romantic about this city with these limitations. Simply put everything. 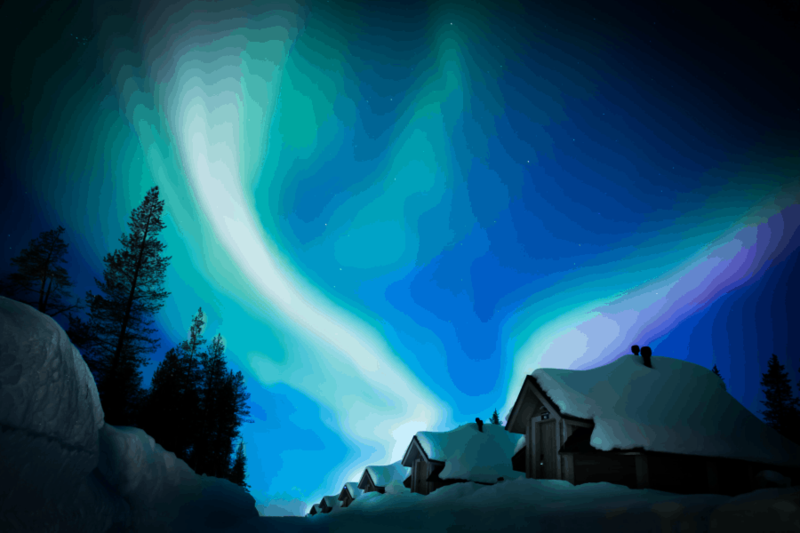 During the winter months you have the best chance of seeing the incredible Aurora Borealis, and to be frank, there is nothing more romantic than watching these lights dance across the sky with your loved one. Seeing the sunrise over the city around 10-10: 30 am in the morning is quite stunning. Everyone is out getting their day started and you are bundled up with your love and a hot beverage catching the sun in all her glory. A popular attraction right outside the city and one of the most visited places in the country, the Blue Lagoon, is worth a visit. This steaming hot thermal bath is the best place to wind down with your significant other and relax. Treat yourself to massage in these milky waters or even a bottle of wine. One of the best romantic views of Reykjavik is at the top of Hallgrímskirkja. From this vantage point, you can see over all the colorful homes of Reykjavík and the coastline. Think cobbled street cafes, the emerald-green Soca river and a town that is just below the majestic Julian Alps. Located in north-west Slovenia, Bovec hits the sweet spot in attracting adventurous couples to experience this tiny little town. The main square often hosts nightly gatherings and street parties. And if that’s not enough, you can visit the Soča River where the Chronicles of Narnia were shot and hire a guide to take you a short rafting trip along these rivers. If you go to the lower Soca Valley region, you can even stop to have a picnic with delicious home-made bread and local (sheep) cheese. 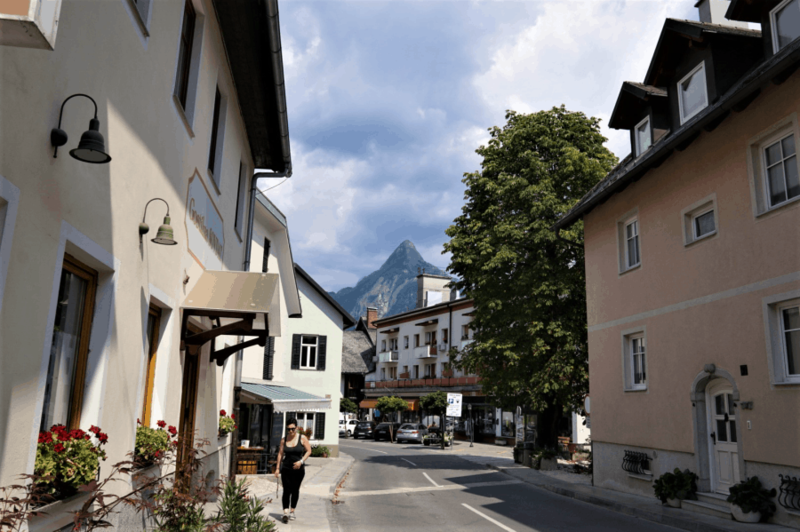 Considering how Slovenia is the greenest and smallest country in Europe, you can take a city break in Bovec and opt for an easy and scenic day-hike. San Sebastian is a coastal city in Northern Spain, in the Basque Country region, it is one of the most romantic cities in Spain. 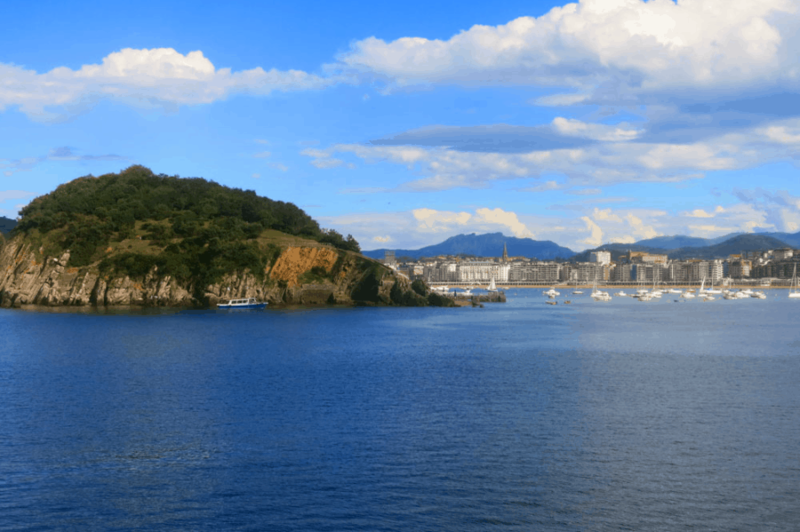 San Sebastian is located by the sea, surrounded by lush green hills, with several beautiful beaches and bays in and around the city. The busiest time for San Sebastian is summer when there are thousands of tourists, winter is not a great time for a beach holiday, but perfect to enjoy the city, watch the sunset at the beach, wander around beautiful cobblestone streets of the Old Town, go for a walk following one of the coastal hiking routes, visit a couple of wine estates and taste local wines, enjoy delicious local cuisine and in February you can do all these without tourist crowds. Another advantage of visiting San Sebastian offseason is accommodation prices, to stay in a cosy hotel at the beach or to rent a spacious apartment in the Old Town is affordable and there are really many options. For a perfect romantic dinner book a table at Mirador de Ulia restaurant famous for its exquisite cuisine and stunning sunset views. Lisbon runs out of superlatives when it comes to its beauty spots. Even its city center at Praça do Comércio is a luge labyrinth from where you can watch the tiny Tram 28 snake its way up towards Alfama on one side and Baixa on the other side. 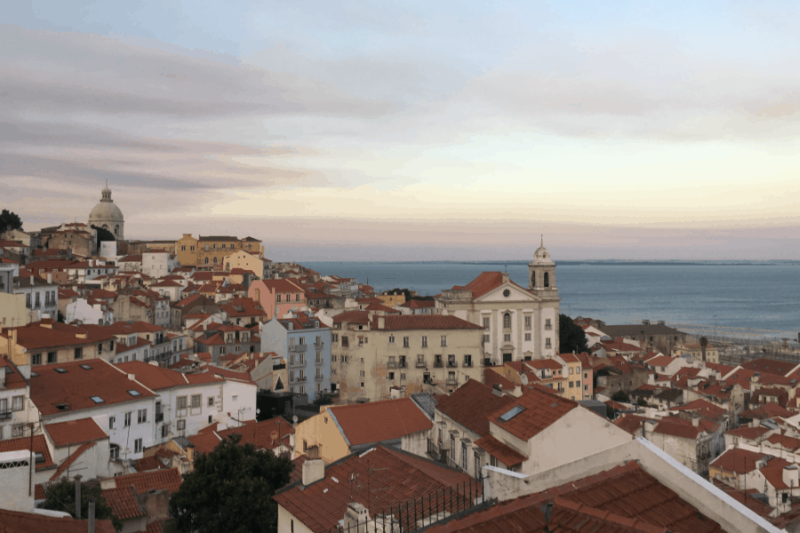 Its miradouros (lookout spots) are located at strategic locations to savour the city’s beauty while the imposing Lisbon Castle stands tall to give a commanding view of the city. Out in Belem, savour the best Pastel de Nata you can lay your hands on and then visit the tower from where ships set out during the age of discovery. Marvel at the azulejo museum and take a cab to Lisbon’s Cristo Rei monument for your slice of Rio de Janeiro. Across the Tagus river, feel like you’re in San Francisco with the same bridge design awaiting you. When it’s all done, gaze into each other’s eyes with some fine Douro valley wine in your hands and the haunting melody of fado music playing from a club at Alfama. 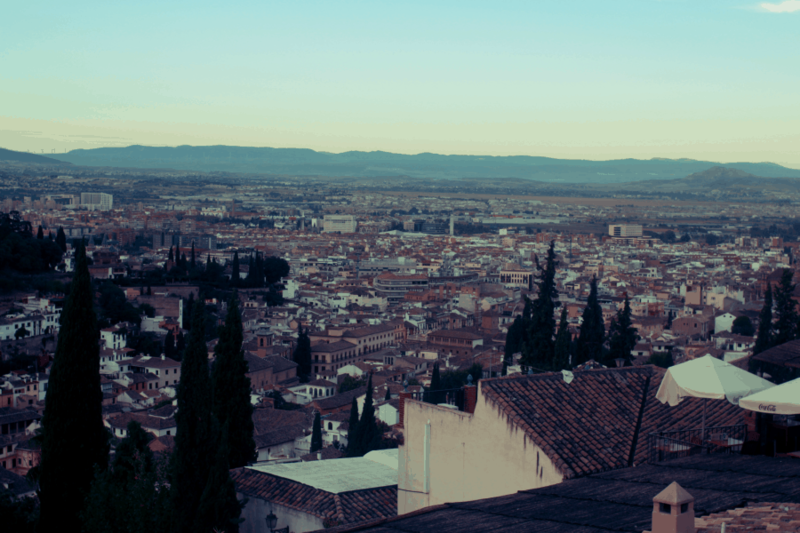 Whether it’s a candlelit dinner or peaceful walk around the labyrinth of streets, the city if Granada in Spain will capture your hearts in seconds. Make sure you and your partner visit Carmen de Los Martires Gardens. The gardens are located amongst some of most romantic public spaces in Granada. Note that the Gardens open twice a day, once in am and again in the pm. The entry is free and for the most romantic experience, I recommend you take a small picnic blanket and some small snacks. This is the most wonderful spot for a lazy afternoon and you’ll be in the perfect location to see the sun setting by the Alhambra. Knowing how to speak Spanish may help but it’s not necessary because you can find information in English. This is the ideal place to woo your loved one when looking for new ideas for Valentine's Day. Warsaw is the perfect Valentine's getaway with its enchanting atmosphere and charming architecture. The capital of Poland has the perfect temperature for plenty of fireside snuggles. For a memorable intimate escape, book a night in the classical decor and facade of the Mamaison Hotel La Regina, which was a 17th-century palace in the past. You can also opt for a more modern take on romance by checking into the Hotel Rialto with its Art Deco facade and 1920s vintage furniture. Hold hands as you explore the Old Town. With its narrow streets, you will have many excuses to sidle closer to each other as you make way for others to pass. Take a coffee break at the E. Wedel Chocolate Store and feed each other some deliciously rich chocolates. Take a walk around Wilanów and soak up the romance from the past as you explore the 17th-century castle's gorgeous interior and charming garden that surrounds it. Stop by Tarabuk coffee shop and read each other a piece from one of their poetry collections as you warm up with a bit of honey latte with cardamom or chili. The best way to end a day of romance is an intimate dinner in one of Warsaw’s most beautiful restaurants, the Amber Room, which is located in the Sobański Palace, where the elegant ambiance and amazing dining experience will surely be the ingredients to an evening to remember. 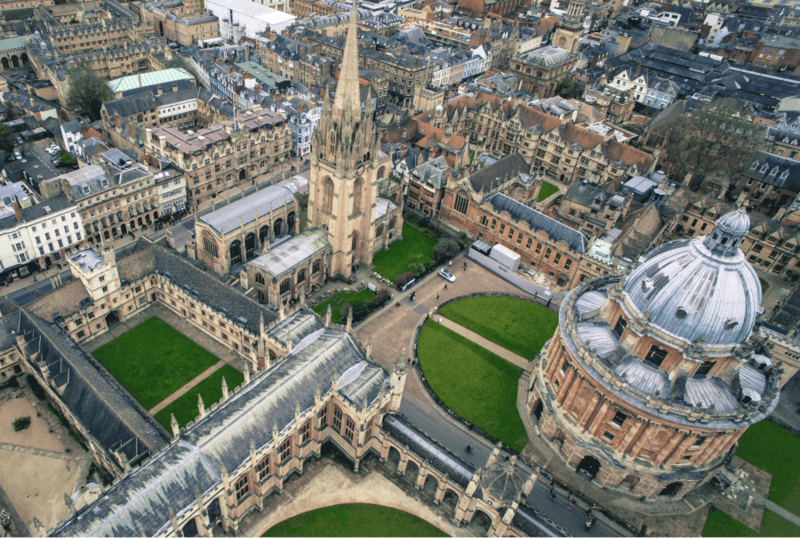 Oxford, aka the city of Dreaming Spires, is known for being one of the most beautiful cities in the UK. Most of the buildings in Oxford date back centuries and have been incredibly well-preserved. This is why walking through the streets of Oxford gives the impression that you've stepped back into a time gone by. It's is a small, walking city with lots of history and plenty of things to do, see and eat. Couples can take a romantic walk around the Botanic Garden or climb the steps of University Church of St Mary the Virgin for breathtaking views of the city. Have afternoon tea at The Vaults and Garden whilst looking up at the iconic Radcliffe Camera and then go for a stroll around Christ Church Meadow to walk it off. This is one of the best free things to do in Oxford as it's a tranquil walk that takes you right down to the river and back again. You can feed the ducks, see the cows in the meadow, and you might even catch a college rowing team out on the water! Most people associate Luxembourg City with ideas like politics and business, but it's actually a very romantic city! First of all, it's in a great position - the capital of Luxembourg is built atop a cliff that was then turned into a fortress, at the confluence of two rivers. You can stand on top of the cliff and do the Chemin de la Corniche walk following the old ramparts, get lost in the narrow streets of the historical centre, or take a lift all the way down to the Grund, the lower city on the riverbank, and enjoy a drink in an outdoor cafè with a real 'village' atmosphere. Another option for a romantic break is heading to the Chocolate House, a cafe specializing in chocolate-based treats just opposite the Grand Ducal Palace. 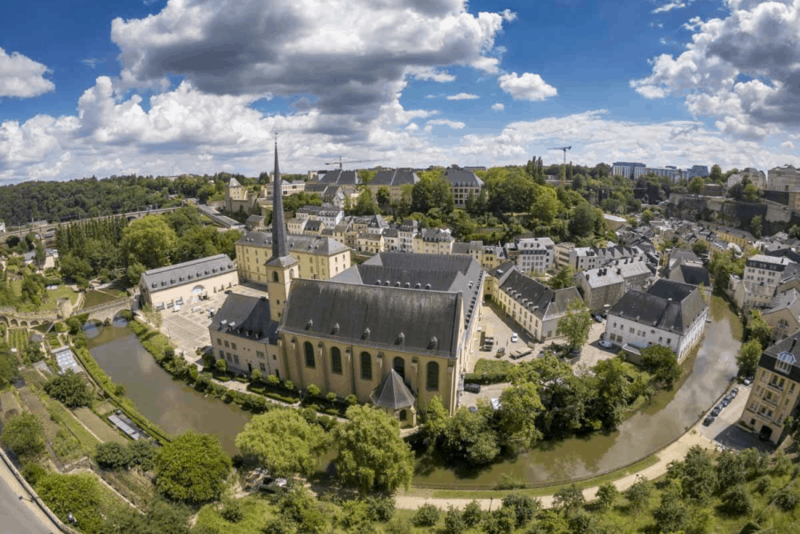 Luxembourg City is also in a great position for day trips to explore the rest of Luxembourg - the country is tiny, so nothing is too far away. Couples on romantic breaks should definitely consider visiting some of Luxembourg's 130 castles - Vianden is a wonderful option, or it's also possible to rent a bike and see seven castles in one day in the valley of Seven Castles! One of my favourite romantic cities to visit is Porto, on Portugal’s Atlantic coast, and if you enjoy picturesque, fascinating cities with great food and wine then I think you’ll love it too. The historic center of Porto is pocket-sized but utterly charming, with romantic locations and activities around every corner. The charm starts as soon as you arrive at Porto’s central railway station, São Bento. The main hall is covered in beautiful Portuguese blue-and-white azulejo tiles. 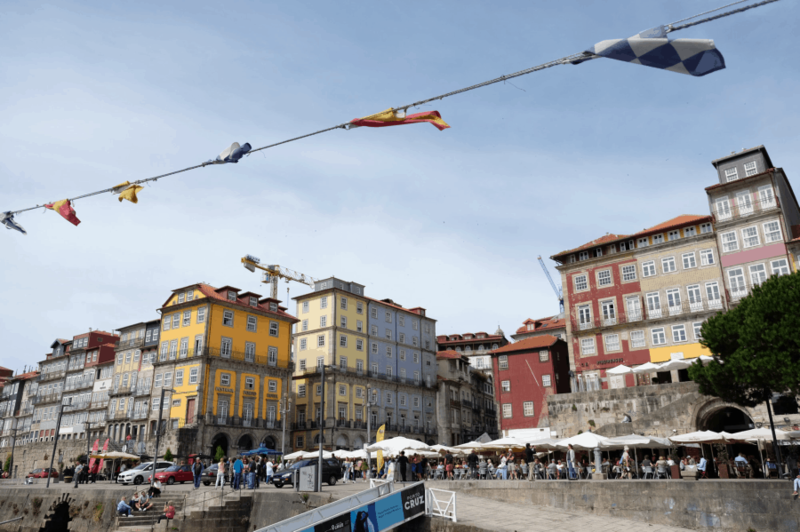 From there, the choice is yours; visit the 12th-century Cathedral, wander the interesting streets which tumble down to the river and take a river cruise underneath Porto’s six magnificent bridges. If you or your partner is a fan of Harry Potter, you have to visit Livraria Lello. JK Rowling lived in Porto for a time and this beautiful bookshop is rumoured to have inspired the library at Hogwarts. Another unmissable activity in Porto is to visit a Port wine cellar. All the Port wine in the world is produced here, and many Port makers run fascinating guided tours so you can discover the story behind Port and sample a little of their wares. For a romantic afternoon in Porto, take a trip just outside the city center to Casa de Serralves. This stunning, pink, art deco mansion looks straight out of Hollywood’s golden age and is home to an art gallery and restaurant. The gardens are now a public park and are full of leafy walkways, glamorous fountains and romantic grottos. Oh, Rome, renowned for its beauty, culture and fantastic food; the capital of Italy is the perfect location for a romantic city break. Rome is bursting with romantic spots that would make the perfect backdrop for a wonderful dinner or even a perfect proposal. One of my favourite romantic spots in Rome is the iconic Trevi Fountain. I always think it’s more beautiful in the evening when it’s lit up and you can enjoy delicious Italian food and a glass of wine at one of the nearby restaurants. Another lesser-known romantic spot in Rome is the Borghese Lake. It’s just a few steps on the metro and you’re transported to a tranquil and beautiful area complete with a lake. You can rent out rowing boats on the lake and recreate your own moment from “The Notebook”, or you can rent tandem bikes and cycle through gardens and fountains. 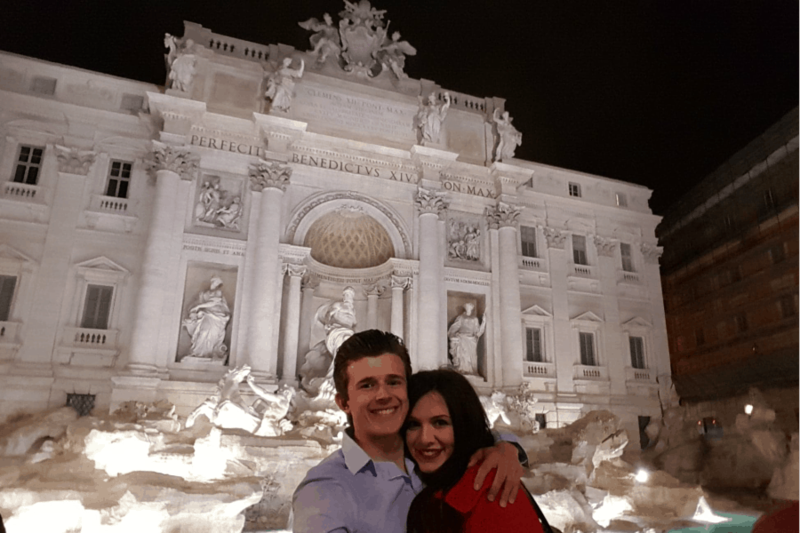 Whether it’s walking hand-in-hand through the city of love, enjoying fantastic sights such as the Pantheon or Colosseum, or simply making your way through all the amazing gelato shops, Rome has so many moments that will make your Valentine's Day one to remember. 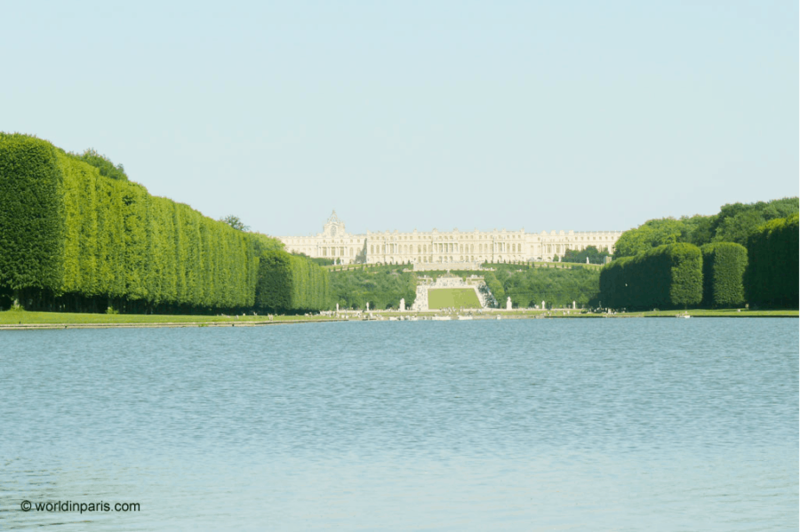 Versailles is a great place to spend a romantic getaway for Saint Valentine's. The city is best known for Versailles Palace and Gardens, which are lovely to visit with your other half even in winter time. But of course Versailles is much more than Kings XIV's heritage and we are sure you will have a great time exploring Versailles. Your hotel in Versailles cannot be anywhere, especially during a special weekend like Saint Valentine's. If you have the budget, head to the Trianon Palace Versailles for a luxury stay. Apart from its spacious rooms with fireplace and balcony, guests can enjoy the award-winning Guerlain Spa, with an awesome heated indoor swimming pool and an extensive list of beauty and body treatments available. Alternatively, there are other beautiful boutique hotels nearby which also come with that romantic touch you are looking for. After an early breakfast, head to Versailles Estate for a short visit to the famous Château de Versailles and its Gardens. Once you are done with sightseeing, shopping is a great way to continue your day in Versailles. The city has beautiful shops and art galleries, most of them located along the Boulevard de La Reine, Rue Chantiers, Rue Mar Foch, and Rue Mar Joffre. If the weather is too cold, the city’s has many cute tea rooms perfect for a shopping break and some sweet treats. When the night falls, head for a romantic dinner for two. Versailles has some fantastic gastronomic restaurants, such as La Veranda which propose excellent French food in a beautiful atmosphere, just remember to book well in advance for Saint Valentine’s day! Seville is the capital of Spain's southern region, Andalusia. The city is known for its energetic street life, tapas, and strong traditional culture. The architecture alone tells the city’s history, with buildings from the Roman times, the Moors and the Christians. It makes the perfect place for a romantic getaway. 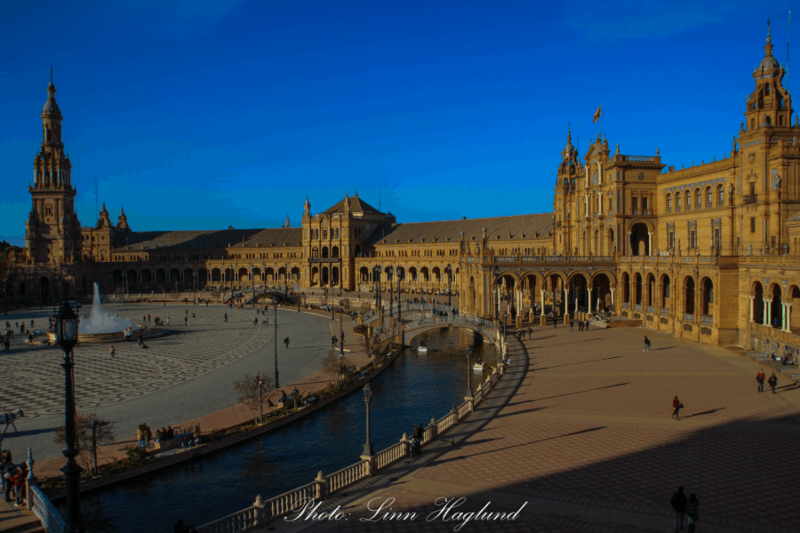 One of the most impressive buildings is Plaza de España. This is not only a beautiful building but also a great place to chill with your partner. All around the building, there are 48 benches representing every province in Spain. You can sit and people watch or go for a romantic boat trip in the tiny canal that crosses the square. Plaza de España has even been called little Venice. Surrounding Plaza de España is Sevilles biggest park, Parque de Maria Luisa, which makes a great place for a stroll and romantic picnic. In the heart of the city, in Barrio de Santa Cruz you find the cathedral and Giralda tower. 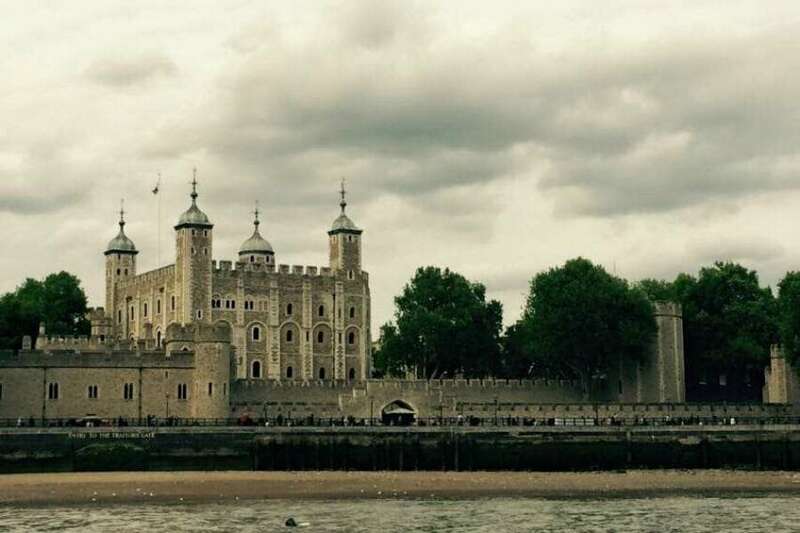 The tower offers spectacular views of the city and is absolutely worth the visit. In the evening, the streets are perfect to get lost in while stopping for tapas and drinks along the way. If you want some tranquillity, you can go for a stroll along the river Guadalquivir that runs through the city. Along the river, you find the Torre del Oro that offers good views of Triana neighbourhood on the other side of the river. Triana is known for its many tapas bars. In the evening the riverside turns into life as the bars fill up with animated people enjoying music and each other’s company. Georgia in Eastern Europe is a hidden gem which is often overlooked by travelers. The capital city of Tbilisi in Georgia is a perfect getaway for a romantic holiday for this Valentine’s Day. It is a cobbled street city with hill stops parks and restaurants along the Mkhetkhi river that flows through Tbilisi. The hilltop park on Mt. Mtasmindia is one of the favourite spots for the local couples. It can be reached by a funicular ride in the mountain and the top viewpoint at the park offers great panoramic views of the entire Tbilisi city. A dinner date would be an ideal way to spend the night with some incredible views of Tbilisi followed by a lazy stroll in the park. 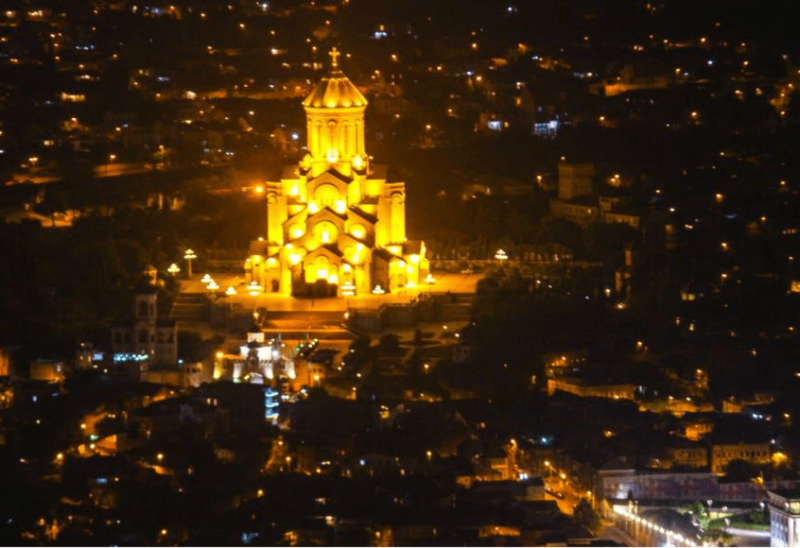 Tbilisi is also famous for its ancient Sulphur baths and centuries-old churches. The city has a mix of the Turkish and Arabian influence which can be observed in its architecture and food. Also, the city is home to some of the best wines in the world, which would make up an ideal gift for spending the Valentine’s Day in Tbilisi. 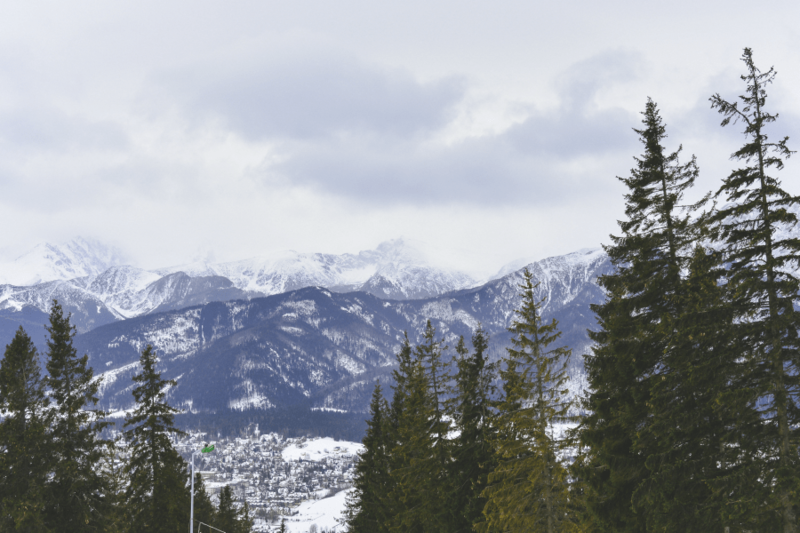 Zakopane is a stunningly beautiful mountain town in the South of Poland, and the perfect destination if you’re looking for a romantic escape in time for Valentine’s day. Even though it is a region worth visiting any time of the year, is especially magical in the Winter, when covered in snow! Why is it perfect for couples? Zakopane is filled with romantic nooks, delicious cafes and scenic views that you’ll love to share with your partner. If you want to take the time to rest, you can find beautiful hotels or rent a cabin in the middle of the mountains for a fraction of the price you’ll pay in most of Europe. Plus, it is a paradise for nature lovers. There are plenty of hikes to try and stunning locations to visit. If you’re not looking to exercise on your romantic break, there are many accessible and comfortable options to enjoy the nature as well, mostly in the form of cable cars that take you the viewpoints (the most famous are Gubalowka and Kasprowy Wierch). There are also museums about the area’s history, an interesting street market, a vast offer of Winter-related sports, and even an Aqua Park. When in Poland don’t forget to indulge on delicious pierogi and specifically in Zakopane stop at one of the street stalls selling oscypek - delicious grilled smoked sheep cheese, served with cranberry sauce. There’s no shortage of romantic experiences to have in Vienna, the capital of Austria, for Valentine’s Day. It is, after all, the city of the waltz, horse and carriage rides, Viennese palaces, and Gustav Klimt’s The Kiss. I can’t think of anything more romantic than waltzing to the tune of the Blue Danube at a Viennese ball. Luckily, Valentine’s Day falls in Carnival time, when the ball season reaches its peak in Vienna. Therefore, you’ll have no difficulty finding a ball to attend on a romantic city break to the city. Art lovers will find Vienna especially romantic. There’s Belvedere Palace to visit with its big collection of Gustav Klimt paintings, including The Kiss. Or the Albertina Museum, home to another vast collection of valuable art. By visiting the Hofburg and Schönbrunn Palace, you’ll get to know the tragic love story of Austria’s “perfect couple”, Franz Joseph and Elisabeth. 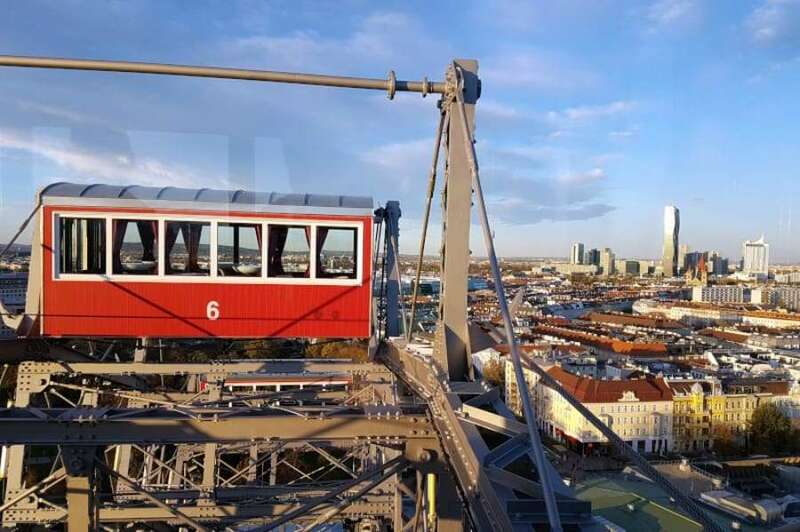 For some fun on a romantic city break to Vienna for Valentine’s Day, you can take a boat trip on the Danube or ride the Giant Ferris Wheel in the Prater amusement park. Both come with options to have a romantic candlelit dinner on board. Vienna is easily reached by air, road, and rail. Austrian Airlines fly to the capital from most major European cities. Such a great list Sandrina! Love that there’s so many unexplored areas in Europe!